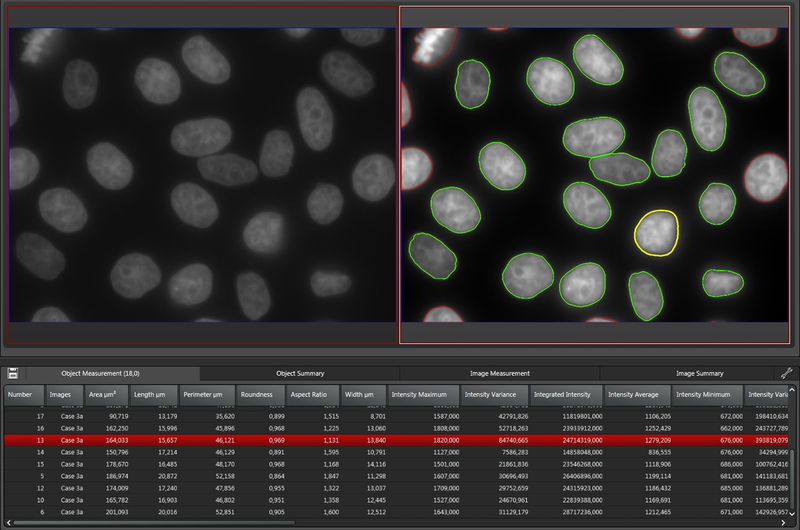 Leica Microsystems has launched the Leica Application Suite Advanced Fluorescence (LAS AF), the software platform for advanced life science research in widefield and confocal microscopy, in its 4.0 version. With LAS AF researchers can now perform 2D image analysis on multi-channel experiments and fully control the environmental conditions of an experiment. In addition, users of widefield systems can now connect to the acquisition station remotely anywhere at any time. A workflow guides users step by step through the 2D image analysis from applying filters, thresholding, and binary image processing, to measurements and classification. Results are obtained easily, quickly, and reproducibly even with multi-dimensional data sets. Each analysis step offers a set of tools that researchers can choose according to the analysis requirements. The image viewer provides immediate feedback on the applied settings. Analysis workflows can be saved as user-defined protocols and applied to further data sets at a later time. The analysis results can be saved with the experiment or exported as Excel reports together with histograms and images of intermediate steps for documentation or further analysis. For statistical purposes users can analyse several data sets of experiments in one run by simply adding the data to a batch list. Samples with several fluorescent markers can be completely analysed in one run by using separate analysis channels for different markers. Optionally, objects identified in different acquisition channels can be correlated, for example to count the number of DNA strand breaks per nucleus. 2D analysis can also be applied to colour images - for example to determine the number of healthy cells in one analysis channel versus the number of abnormal cells in another analysis channel. Knowledge of all environmental parameters is crucial for researchers. The correct environmental conditions help minimise experiment failures and enable researchers to fully assess their results. With the Environmental Control module in LAS AF 4.0 users can monitor temperature, CO2 and O2 conditions at all times. They can also pre-define changes of these environmental parameters during an experiment and even let the system wait until a specified temperature is reached before starting. The range control either displays a warning if user-defined limits are exceeded or, alternatively, it stops the whole experiment. All environmental parameter controls are combined in one user-interface, making it easy to keep track. In combination with the LAS AF Live Data Mode module, acquisition macros can be defined to run temperature profiles - for example to perform heat shock experiments. On widefield systems, the LAS AF Mobile Connection module enables researchers to stay connected to and interact with their experiments 24 hours a day, seven days a week - without the need to stay close to the imaging system. Users can remotely start, stop or pause their experiments, capture images to identify the best time to start an experiment or display an image at a conference that has been taken seconds ago during a running experiment. Mobile Connection works via web client or mobile device. As several users can be connected with the microscope system at the same time, they can also interact with each other, exchanging messages to discuss the most recent developments of a live experiment.